2018 has been an up and down rollercoaster for just about every living human being on the planet earth. If you are caught up on my most recent blogs, you know I started off 2018 with a depressing blow to my mental state. I felt like I’d hit rock bottom and there was no where to go, but up. Oh how right I was! This blog is a recap of 2018 as I journeyed into my personal branding, expanding my family and really just living my best life! For those of you who have been following me for some time now, this will be nothing but a very positive flashback. For those who are just now tuning in to Typical BlaQueen and all the shenanigans and endeavors, this will hopefully be some inspiration and motivation for you to go after all that you want in 2019. One of my goals made in 2017 for 2018 was to be invited as a guest on my first podcast interview. Podcasts are God’s gift to those who don’t do a whole lot of reading and a great way to be inspired without having to browse the internet all day. In the beginning of 2018, I was blessed with being able to upgrade my Android to an iPhone. This tiny level up opened a door, or should I say, an app into the world of Podcasts. BTW, I will be linking each podcast interview mentioned for your listening enjoyment! I was honored to be invited to my very first Podcast interview in February of 2018 — That was hella fast, right? 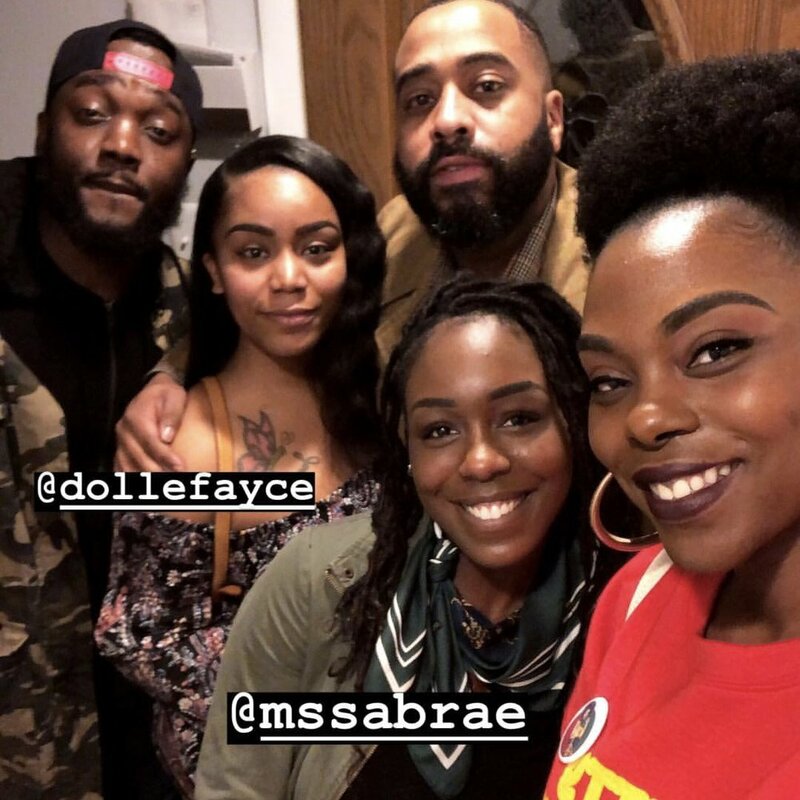 No Disclaimers Podcast, formally known as The Sabrae Show Live, would be the start of me taking on a few podcasting invites throughout the year. This initial invite was just a confirmation that speaking things into existence is the real deal. Since the our very first sit down the entire crew of No Disclaimers Podcast have become very dear friends of mine who I absolutely adore. Within that very same month I was invited, again, to another guest seat on a Podcast by the name of MSR or Mind Stream Radio. This interview and sit down was a little more personal for me. The podcast creators are college friends that knew me very well before my Typical BlaQueen days. A huge shout out to Adam, Paul & Chris! I don’t think they truly know how good it felt to be recognized by my actual peers for leveling up and making my hard work pay off into something so positive. In this year I got invited to a few more seats next to some inspirational podcasters like , The Wine Down with Mommy Matters and Champagne Chat with MrsBeverlyxo. But, the one I will forever hold dear to my heart, is being a guest on Stuck in the Middle Podcast. 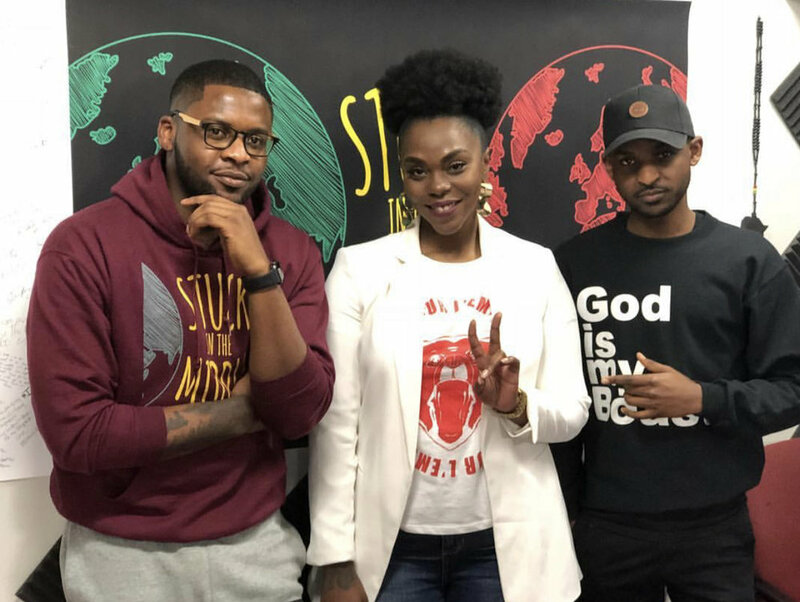 STIM Podcast is a platform for the Entrepreneurs, the Innovators and Move-makers of African Descent. Being apart of this podcast allowed me to share myself and my story with so many others. It also helped me with landing my first major brand collaboration. As a content creator and Influencer, working with brands is one of the number one ways to become “known”, and more importantly, to make money. I’ve done a few brand campaigns and collaborations in 2017 but my ultimate goal was to get “chose” by my favorite brands of all time and be able to represent them in my community. Thanks to STIM podcast, my ever evolving content and my cherished friend, Dayna Bolden, I finally got the chance! For 2 months I was able to campaign with Creme of Nature on 2 different projects. The Perfect Edges Campaign had me absolutely thrilled! That campaign allowed me to create content for them, take over their insta-stories and even do a few demos. It was amazing to be able to meet my local curl-friends in-person at the 3 week tour of promoting their new Pure Honey line. I went to several different Walmarts in the DMV to make sure you got to get first hand experience with Creme of Nature Pure Honey. Working with Creme of Nature definitely boosted my confidence and had me pitching to brands more than I used to. Now, I am an ambassador for the hip and knowledgeable hair care line, The Doux, and landed my first make up campaign with The Lip Bar. The best part of all of this is that these are all brands I believe in and have actively been fan-girling over for some time. Another brand collaboration opportunity I had was working with Curls Unleashed. Like Creme of Nature, this brand has been showing up on beauty supply shelves for years. I snagged this collaboration by shooting my shot in an email. If you haven’t learned anything this year please retain this: Don’t sit around and wait for things to fall in your lap. Make success happen! Working with Curls Unleashed had me front and center of their branding image at the Ubiquitous Expo. I also did some traveling with the brand to New York during NY Fashion week. Texture on the Runway was such a magnificent experience and I suggest every fashionable naturalista attend at least once. I claimed in 2017 that 2018 is going to be my year of travel. I really kept my word with this one because it felt like every week I was on the road or in the air. I did a lot of local traveling from DC to Baltimore. My road trips even extended beyond B-more to Philly and New York a few times. My all time favorite and, longest, road trip was when I jumped into the moving truck with owner of Mess in A Bottle, Kalilah Wright, and headed to Essence Fest in New Orleans. The 17 hour ride showed no mercy on our knees and backs but we made memories as we got to our destination by any means necessary. Attending Essence Fest was another goal spoken out loud in 2017 that I made happen, even if it took some time to get there. If that’s doesn’t motivate you to physically go after what you want then, Sis, I can’t help you. It wasn’t just road trips that completed my year of travel. I was '“flewed” out to Biloxi, Mississippi to host a segment of the 3rd Annual Mississippi Natural Hair Expo. I’m so happy to be able to fly back in March of 2019 to host again and meet all my friends in the ‘Sip! My passport got stamped a couple of times because, this year, I was able to travel to Mexico, TWICE! The first time was with my Beau for our annual birthday trip. Our Birthdays are 3 weeks apart so we celebrate each other’s life by traveling together on the week in between. While in Cancun, this birthday trip went a little different because your girl got engaged! Yes! That’s right! Im finna be a Mrs.! With my second trip to Mexico I ended up in Riviera Maya at a beautiful resort for the 2nd annual Destination Naturals retreat. Imagine a group of gorgeous black women with natural hair taking over, glowing and prospering. It was magical! I’m even happier I had the chance to share the experience with my mom. Just about everything I’ve inserted into this post is so memorable and had great influence to me having a phenomenal year. Besides me getting engaged, I’ve had other moments that put me on the express train to cloud 9. 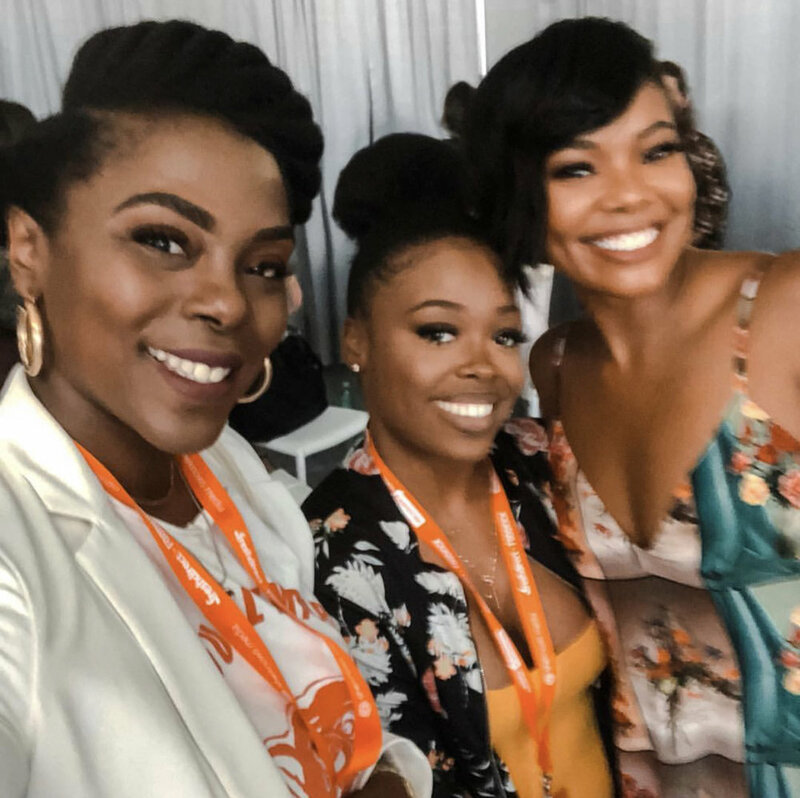 Meeting Gabrielle Union in person was at the top. I won two tickets to BlogHer ‘18 in New York where Gabby was a guest keynote speaker. She has been such an inspiration to myself and all women through her social media, I just knew I had to meet her face to face. I waited until she was off stage, circled around the backstage curtain and right before her manager whisked her off toward the exit I called out her name. She turned around and that’s when the moment happened. I Introduced myself, let her know how impactful she was in my life and gave me a big hug! She even called me pretty! Gabrielle is indeed the same positive light in front and behind the camera. I was so nervous my hands were shaking and the pic ended up being blurry. It’s amazing when you finally get to meet the ones you are so inspired by. Another woman I absolutely admire spiritually that I had a chance to meet twice is Shelah Marie. Her Youtube Channel, Instagram and website, Curvy Curly Conscious are what women need in their life journey to becoming more Conscious of how we love ourselves. 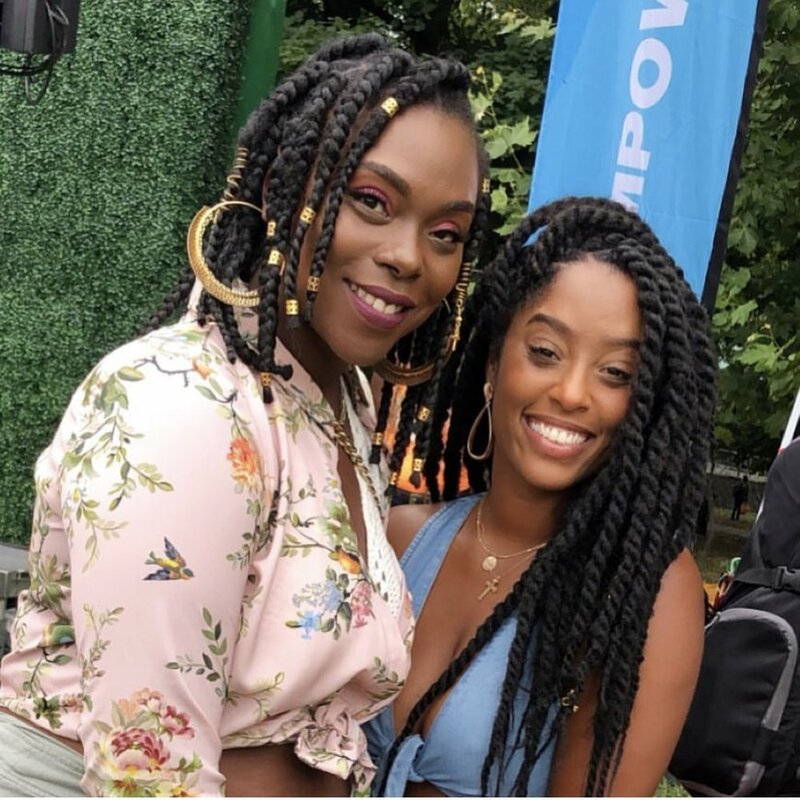 I first met Shelah while attending my very first Curlfest in New York and then again while working the Pink Carpet for The Naturalista Expo here in Washington, DC. This past year I was able to hit so many of the goals that I had made. Sticking to your guns and going after what you need to be successful is a true confidence builder and a stepping stone for the new year. There were times I was ready to wash my hands of everything I was working on. I can honesty admit that I questioned if what I was doing really what I wanted to put my time and energy into. The best moment of 2018 was my very first Meet and Greet. To have people inspired and ready to go hard for their future and passion all because I’ve showed my journey, erased any doubt that I had. 2018 was a year for learning more about how much I inspired others and the inspiration they give back to me. This was also the year of confirmation. Going into 2019 I will do everything with the attitude of “I belong here”!